Did you know women during the Renaissance period (1400s-1600s) used to be obsessed about getting their skin as pale and as white as possible? In those times, only very rich, white women pursued porcelain skin. 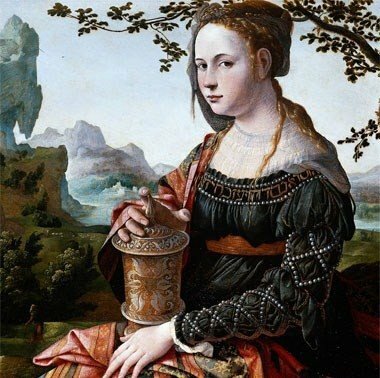 Why was white skin so coveted during the Renaissance? During the Renaissance period, white skin was seen as a sign of modesty and virtue in a woman. Red lips were also coveted as the color represented passion and beauty. For women, the ideal combination was a white face with reddened lips and cheeks. However, a pure white, porcelain complexion is impossible for a healthy person to attain naturally. So much like today, those women used creams and other methods to whiten their skin. One of the most popular and well-known lightening creams was Venetian Ceruse. Ceruse had two uses, painters used it to paint with, and women used it to whiten their faces, necks and chests. The Greeks called it psynmylhium and the Latins called it cerussa. Ceruse is a white powder obtained by using vinegar on lead. This creates powdered white lead (the ceruse) which is opaque and gives an artificially white complexion to the user. Many paintings of rich or noblewomen during the Renaissance period showed them with ceruse on their faces. Unfortunately, ceruse was easily absorbed through the skin, leading to lead poisoning. This caused hair loss, a deteriorating mental condition and muscle paralysis. Ceruse was also corrosive and ate away at the skin, which meant that thicker and thicker layers had to be applied over time. Prolonged use have killed many women, including Queen Elizabeth I. Despite its shocking side effects, ceruse remained popular for about 300 years. It was classified as a poison in 1634. Trivia: Stage make-up during the Renaissance period was a little more elaborate. To create a white face for the stage, ceruse was mixed with sublimate of mercury and ground orris. They also sometimes mixed in ground hogs’ bones, borax powder, egg whites and lemon juice. Another popular skin whitener was sublimate of mercury. Women often used it as a skin peeler to remove blemishes. As smallpox was prevalent then, removing smallpox scars was of vital importance. Sublimate of mercury served to remove the blemishes while ceruse was used to fill in and cover up any remaining flaws. Mercury sublimate was also used to remove warts and bleach freckles. Like the lead in ceruse, mercury chloride was easily absorbed through the skin and resulted in many deaths. To make matters worse, another type of mercury was used to redden cheeks – mercury sulphide. Note: While many things have changed since then, the use of mercury to lighten skin has not. Many illegal skin whitening creams today contain mercuric chloride as the active ingredient. Women also resorted to more drastic methods to achieve a chalky-white complexion. They bled themselves. Ironically, this extreme method was probably less dangerous to their health than lead powder or mercury sublimate ever were. Women who went down this route either applied leeches to their body to drain their blood in a controlled fashion, or they simply slashed a vein. The second method was notably more dangerous and referred to as cupping, as a cup was usually used to catch the blood. 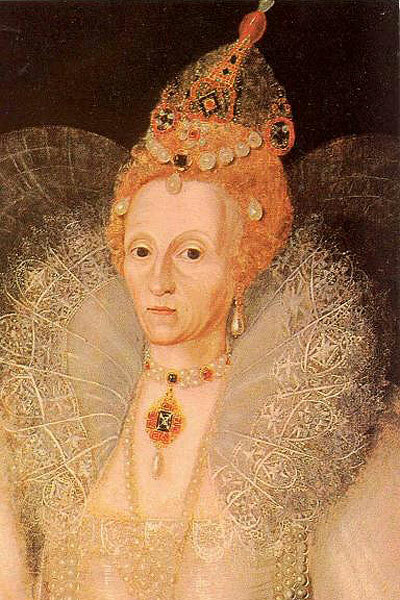 Queen Elizabeth I suffered from the effects of lead and mercury poisoning, which eventually lead to her death. 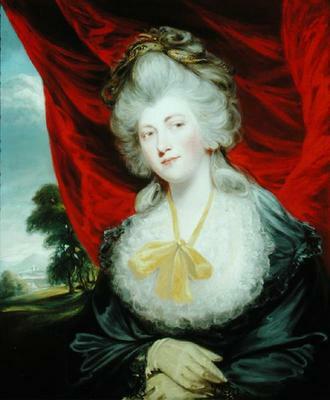 In this painting, her hair loss was evident. She had a high receding hairline, covered by a wig. A painting of a woman during the Renaissance period. She has all the hallmarks of an ‘ideal’ beauty for her time – white skin, red cheeks and lips. could i please have the information of the author of this article. Done! Please see the ‘about’ page I’ve just added. Hi Marwan, thanks so much for your kind comment! I’ve now added a page about this site (and me as well) here.